Money Maker!! 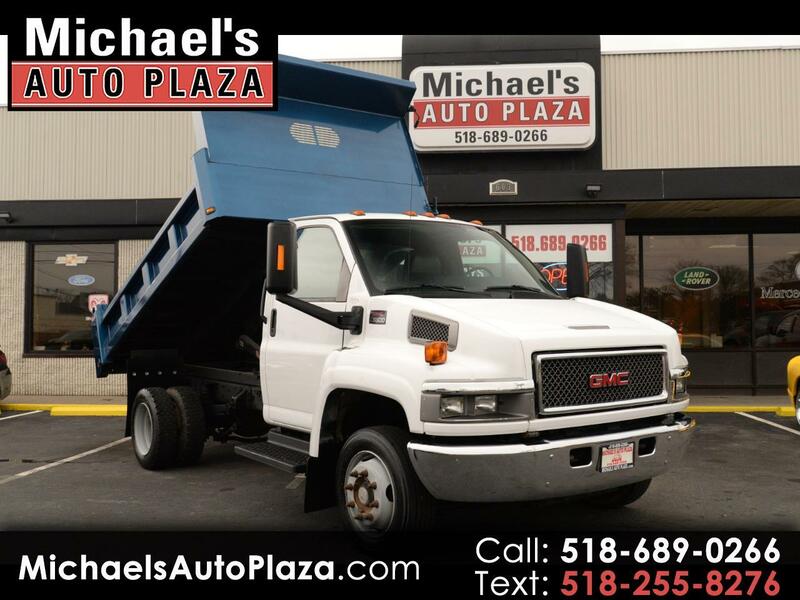 Come see this One Owner Clean Carfax 2007 GMC C5500 C5C402 Topkick, Regular Cab, Automatic, Only 63K Miles, 11 Foot Rugby Dump Body, White with Gray Interior, One Owner!! Clean CARFAX!! Power Steering, Running Boards, Trailer Hitch, Power Windows, Locks & Mirrors. A/C, Cruise Control, Tilt Wheel, CD. Trades Welcome - All Reasonable Offers Considered!!! We ship our vehicles worldwide, please call us for a shipping quote. WE OFFER GUARANTEED CREDIT PROGRAMS!!!! Call Toll FREE 866-440-3907 or TEXT anytime 518-844-4420!! FREE Carfax available on any vehicle! Call for your copy today! FINANCING for ALL needs! Rates From 2.74% APR if credit qualified! Great rates for the credit challenged too! AD CREATED BY AUTOMOTIVE ENHANCEMENT WWW.MICHAELSAUTOPLAZA.COM PHONE 518-689-0266 Information deemed reliable, but not guaranteed. Interested parties should confirm all data before relying on it to make a purchase decision. All prices and specifications are subject to change without notice. Prices may not include additional fees such as government fees and taxes, title and registration fees, finance charges, dealer document preparation fees, processing fees, and emission testing and compliance charges. Message: Thought you might be interested in this 2007 GMC C5C042.